At Silverberg Jewelers, we offer professional watch repair services. With many years of experience, our watchmaker is fully trained and qualified with high-grade watch service experience including Rolex, TAG Heuer and Omega. We provide ourselves in our ability to service your beloved timepiece, both mechanical and quartz repairs. 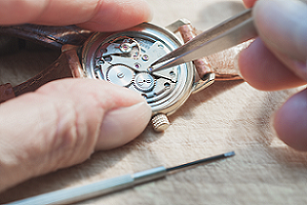 If your timepiece stops working, no matter what make, model or year, we would be more than happy to do our best to have it running like new again.